The care advice "iron whilst damp" provides a clue. The shirt was severely creased after washing and even while still damp it was impossible to fully iron out the crepe-effect type creasing. The act of bending the arms to put on one's tie restores significant creasing to the elbow area. Apologies, but not a good look CT. 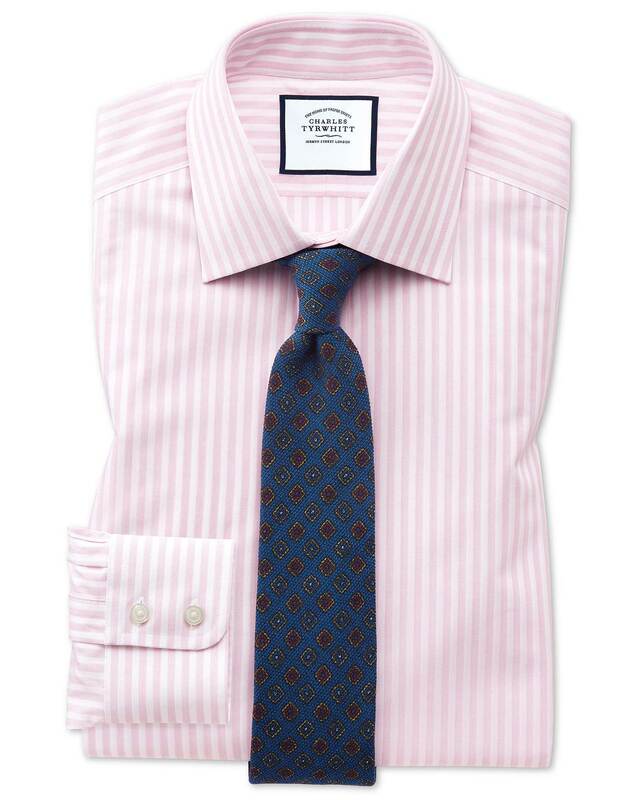 Response from Charles Tyrwhitt: It's ever such a shame that this beautiful shirt is a touch too prone to creasing, but thank you for sharing this feedback with us. This particular weave is quite a tricky one to perfect, and we are yet to be able to add our fantastic non-iron process to it. We are always working on improving our products, however, and I'm confident our shirt gurus will be working hard on this one! In the meantime, please feel free to pop this one back to us for an exchange or refund if you won't be able to enjoy it. Good quality and fit given the price.